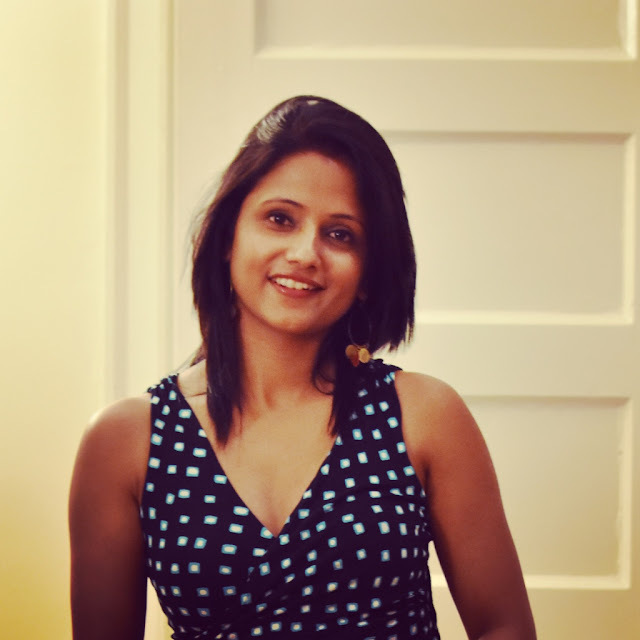 In a conversation with Poornima Dhiman, author of the book Arranging Love, Contemporary Way!. Poornima talks about various things related to her debut book. The story of the book is about the experience, though fictional, of arranging the marriage in a way that is appreciated by everyone and is at par with the expectations. To read the complete review of the book, please visit Book Review : Arranging Love, Contemporary Way! - Poornima Dhiman. Q: “Arranging Love, Contemporary Way!” made you a published author, how does it feel with your name on the cover of the book? A: It's a dream come true for me, one of the happiest moments for me. Certainly, because it's my debut novel but also because I feel so strongly about this subject. Through this book, I've tried to throw light on the real picture of lopsided so-called modern Indian society especially when it comes to marriages. These days’ online matrimony portals are becoming very popular for Indian people to find their perfect matches, but a very few actually are aware of the real picture and challenges a girl faces in these portals. I have tried to showcase that in a lighthearted way with the elements of wit, humor, love, and sarcasm in my story! Q: Did you actually plan the book, “Arranging Love, Contemporary Way!”, or it just happened in the course of the time? A: I never really planned to write a book on this subject. One day, I still remember that it was Friday night, I was talking to one of my friends in general and we happened to talk about one of the online matrimony portals and I said to my friend, "I feel so bad thinking about this whole ordeal that I want to do something to make people aware of this whole new online matrimony world." Even after we finished talking, the thought stayed with me and that night I started writing about it. But even after spending my whole weekend in writing about it, I could hardly finish 4 pages as I was writing and deleting and writing again but nevertheless, I got my start! Q: What was the reaction of your family and immediate friends when you first told them you were going to write and then publish “Arranging Love, Contemporary Way!”? A: My family is very supportive and we have a very friendly and conducive environment at home. When I told them that I’m writing they were happy and supported me. They motivated me at every stage and especially when I was feeling a bit disheartened as I was not able to decide how to publish it. They always tell me to not lose heart over small things. They motivate me to feel positive about the things which really matter to me even though they seem difficult. I didn’t share about writing this novel until very late with a lot of friends, but the few friends I shared this with were supportive and happy as they too wanted someone should write about this whole ordeal of online matrimony portals and were happy that I took the initiative. Q: Tell us about the support you received from your family and friends while you were writing “Arranging Love, Contemporary Way!”? A: My family helped me a lot on days when I was getting demotivated thinking I might not be able to publish it as traditional publishing is very difficult for a new author like me. A few good friends did help me find more information about self-publishing. Deciding on the cover was another place I needed some real feedback and suggestions and my friends and family did help me a lot. Q: Can you tell us something about your experience of publishing your book? How easy or difficult it was? A: After you finish writing and editing the book, the most important question an author faces is how to get it published? Like most of the people, I also initially wanted to go for traditional publishing only but when I read more about self-publishing, I certainly liked it better for new authors like me. Traditional publishing companies don’t really like to take chances with new authors, either they want some literary agent to submit your work to them or they make you wait for a long time before they publish your novel and vanity publishing companies are expensive and don’t sound so good. Self-publishing is a great choice. I’ve used draft2digital (for iBook, nook, and kobo) and Kindle direct publishing (KDP) for Amazon kindle to publish my book. Both of these are very user-friendly and have a good customer care service. Q: Apart from “Arranging Love, Contemporary Way!” have you written anything else that we should know? A: I haven't started working on anything yet but have a few thoughts in my head. Whatever it would be, it would be something which readers would feel a connection with. Q: You took up writing as an intentional move or multiple sequence of events led to writing? Or you think you were destined to be a writer? A: Even as a kid, I used to weave stories and I started writing my journal when I was a teenager. In my school days, I used to participate in essay writings and debates. So, I always had a penchant for writing. After my short story got published it was like a dream for me to write a novel. And as my mom always says -- Dreams come true only when you dream! My family is my biggest support system and I'm so thankful to them for believing in me and motivating me to work on my dream. A: The quote from Chuck Palahniuk “We all die. The goal isn't to live forever; the goal is to create something that will.” Always makes me think about the purpose of life and everything we are doing here. Everyone in this world is different and can contribute to the betterment of this world in his/her way. As a writer, you definitely contribute to creating something which stays on. You write something which can inspire someone today and even after 100 years from now. Being a published author I feel really good and I want to write more and do something where I can interact with more people, learn from them and explore new things together. One of the plans is to open a cafe where people can come and explore their creative side by doing painting, pottery, music or anything which makes them happy. Where I can interact with more people, listen to them and talk to them. Q: “Arranging Love, Contemporary Way!” revolves around the entire concept of finding the perfect bride/groom for you. How did the plot come to your mind? A: I’m single and in my so-called Indian “marriageable” age. I don’t have a count of how many times people around me have asked me “Why I’m still single! ?” It used to irritate me a lot initially but turns out to be the motivation to write my debut novel. A lot of my friends are either going thru this whole process or have been thru this and this whole process looks so rosy from the outside but very few actually know the real picture. I’m not totally against it, it is definitely a good concept and a platform to meet new people. You get a chance to know a person better than traditional arranged marriages but it still has some flaws and people need to grow a little bit more, become more open-minded and accepting of new things. Q: To what extent, “Arranging Love, Contemporary Way!”, is fictional, real and inspired? A: The characters are fictional but it’s inspired by stories I have heard, discussed with friends or have experienced myself as well. I feel the story is inspired by every young, ambitious Indian woman who refuses to settle down for less. A: I like writing short stories on things which inspire me, things I see around me in the day to day life. After a busy day at work, writing helps me to connect with my core and feel good. A: I wanted to keep it simple yet close to the theme of the book. As it’s the story of a modern girl trying to find her perfect match thru online matrimony portals, this cover seemed like a good choice. A: I’m a software professional. Most of the days at work are pretty busy with coding/development and attending meetings. Q: If “Arranging Love, Contemporary Way!” is made into a Bollywood movie, who do you think should be the lead actors? A: I'm one of the biggest fans of Deepika Padukone. No one really represents modern Indian woman and emotions better than her. So, given a choice, I would say the protagonist of the story 'Ananya' should be Deepika Padukone. A: I like reading too. There are days when I love reading romantic novels and cry while reading Nicholas Sparks novels. I like reading Nora Roberts, Jane Austen, and Danielle Steel too. But romance is not the only genre I read, The Fountainhead by Ayn Rand is one of my favorite books so far. I like reading self-help books and biographies too. A: These days getting an e-book is a lot convenient, you don’t have to go to a bookstore to get a book or wait to get it delivered if you are ordering it online. Getting a book, you like to read is just a click away. And you can easily read thru your tablet while traveling as well. Though I still love the smell of the paperback/hardcover books, nothing can replace that but with today’s busy lifestyle e-book definitely has some benefits. Q: Two things that you like and dislike about “Finding the perfect life partner”? A: I still feel love should happen on its own and the only reason to get married to someone should be love only. Trying to find the life partner makes it like a task which has rules and regulations and I don’t think it’s a correct way to get married to someone. But as we all are so busy these days and after a certain point in life, meeting someone organically is not as simple as it sounds to be, “finding” him/her definitely is important and very much required. What I like about it is that thru the course of this process you get to learn a lot about yourself too. What are the things which are important to you, what are the things you value and what might sound important to others is totally superficial for you! You get a chance to talk and know a person better than traditional arranged marriages thru contemporary ways and which is very important in helping you decide about marriage. What I don’t like is the fact that you have to interact with all different kinds of people through this and it takes a lot not to lose your heart, not to get demotivated when you are getting across some “not-so-good” people. Q: If you have to give one reason to our readers to get hold of your book, “Arranging Love, Contemporary Way!”, what would the reason be? A: The story deals with thoughts and emotions that every person must have gone through at least at some point in life. Reading it would give you a new perspective and you would love reading it. A: Life has endless possibilities -- it surprises us every day and I'm sure one day we all will get what is best for us. Stay positive, believe in yourself and live life break-free. Believe in your dreams and give your best to whatever you do.